Woo-hoo! We’ve teamed up with the gurus at Lynda.com to bring you one month FREE access to their new training course: Learning Boris Continuum hosted by VFX expert Lee Lanier. WIN BIG! Plus, we’re giving away 3 one year subscriptions to Lynda.com and 3 one year multi-host Continuum subscriptions. Simply fill out the form & you’ll be automatically entered into the raffle. Winners will be notified Tuesday, August 1st by email. The 2 ½ hour course breaks down Continuum into easily digestible chapters and topics including: applying stylized effects, keying green screen, motion tracking, adding particles, and working with 3D text. Learn new Continuum tricks and techniques to up your VFX game before the craziness that is fall TV and award-movie season. 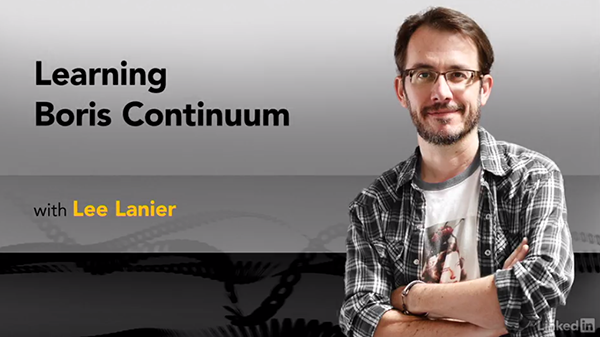 Note: The course features Continuum inside Adobe After Effects. However, the techniques and tips can be applied to all supported hosts. About the Author: Lee Lanier is a VFX expert, artist, and animator with over 20 years of experience in features and directing independent, animated shorts. His resume includes: Buena Vista Visual Effects at Walt Disney Studios, PDI/Dreamworks, and authoring several high-end VFX books. He is also a member of the VES (Visual Effects Society) and has taught at the Gnomon School of Visual Effects in Hollywood. Enjoy & happy summer from your friends at Boris FX!